There are few things I detest more than people who denigrate and mock those few who have taken up arms on behalf of others and experienced the pain and hardship of warfare, of taking lives and knowing that others are trying to take your life as well. One would think that, in these modern times, no one would be so ignorant as to slander the military forces of an entire country, yet it does happen. The one that stands out to me most of all, and which is therefore the most infuriating, is those who mock and ridicule the armed forces of Italy, usually focusing on the late Kingdom of Italy and in particular on the Second World War. This is thoroughly disgusting just as behavior goes but it is also ignorant and plainly incorrect. To make matters worse, I have even heard some Italian people, even educated Italian people, say much the same thing in more polite and respectful ways of course, by claiming that Italy has no military tradition. This is so shockingly ignorant one hardly knows where to begin in refuting it. The fact of the matter is that Italy has a very long and illustrious military history and many proud military traditions that are still drawn upon today. Obviously, one can go all the way back to ancient Rome for the complete story of Italian military achievements. There was Scipio Africanus who defeated Hannibal and conquered North Africa, Sulla and Pompey the Great who rose to fame in Roman civil wars. There was Julius Caesar who conquered Gaul and so much more, Marcus Agrippa who won the battles that allowed Augustus Caesar to become Emperor of Rome. Emperor Tiberius was a great soldier as were numerous other Roman monarchs, probably none so celebrated as Emperor Trajan who took the Roman Empire to its height of expansion. Even in the twilight of Imperial Rome there were men like Emperor Constantine the Great and others who accomplished magnificent military feats. Yet, having been through this argument often enough, I am well aware that (for entirely arbitrary reasons) many want to claim that the entire period of the Roman Empire somehow doesn’t count and should not be included on the “scorecard” of the Italian nation. If modern Englishmen can claim Alfred the Great as one of their own, or if the French of today can consider Charlemagne a native son, I fail to see how it is any stretch to consider the Romans to be Italians just because the modern-day people of Italy now include some additives. No one else can claim closer descent certainly. However, this makes it a little difficult to determine for these naysayers when exactly the Italians started being Italian -as absurd as that rightly sounds. Surely, once we moved beyond the first millennium of Christian history we can say that Romans, Lombards and so on were more or less coming together as Italians. Even in that time, there are great Italian victories and heroes worth remembering such as Alberto da Giussano of the “Lombard League” who defeated the German knights of the formidable Emperor Frederick Barbarossa at the Battle of Legnano in 1176. There was also, during this period and the years that followed, the rise of the Italian city-states, particularly the maritime powers of Venice and Genoa which built extensive empires throughout the Mediterranean. These were based on trade and commerce but it took highly skilled soldiers and sailors to establish and defend them, fighting against the most powerful forces of the day. One early figure of the great leaders of these states was Ordelafo Faliero, Doge of Venice, who captured Zara and Sebenico from the Hungarians and conquered part of Acre in Syria. There were many such great military leaders over the centuries, one of the most famous, from the 16th Century was the Genoese admiral Andrea Doria who won many victories and ultimately became a top commander in the employ of the Holy Roman Emperor Charles V.
Renaissance Italy was resplendent with famous warriors and victorious battles. Italian mercenaries were used across Europe and with almost constant warfare going on between the Italian states and the great powers that used Italy as a battlefield it would be impossible to list all of the significant figures and events. Italians also played a key role in the ongoing warfare against the expansion of the Ottoman Empire in the Mediterranean. Amadeus V of Savoy, in 1315, for example came to fame defending Rhodes from the Turks with the Knights Hospitaller. Also in these times, clerical leaders were often military leaders as well and probably none are so famous as the “Warrior Pope” Julius II who waged a campaign to drive the “barbarians” out of Italy and indeed succeeded in freeing almost all of Italy from foreign control and uniting the country under papal leadership. Pope Clement VII, while not leading military forces personally, came close to such an accomplishment against the invading German and Spanish forces of Emperor Charles V thanks to the great military leadership of Giovanni dalle Bande Nere, sometimes called the last of the "Condottieri" (Military leaders), who held off imperial forces against heavy odds until his death in battle in 1526. There were also famous victories that, inexplicably, some people fail to associate with the Italians such as the epic naval victory at Lepanto in 1571. Most who have a passing familiarity with that famous battle are aware that the Spanish ships and overall command was held by the famous Don Juan of Austria but the vast majority of the ships were Italian and the other commanders were Italians. With much of the Spanish strength being derived from their control of Naples and Sicily, it was almost entirely an Italian force with ships and fighting men and support supplied by Urbino, Savoy, Tuscany, Genoa, Venice and the Papal States. During this same general period, the time of Tudor England, the Dutch Revolt and the Protestant rebellions in Germany, one of the most celebrated military figures was Alessandro Farnese, Duke of Parma who almost totally reconquered the Netherlands for Spain and was instrumental in defeating English-backed rebels in France. So great were his victories that many historians have labeled him as the greatest soldier of his time. 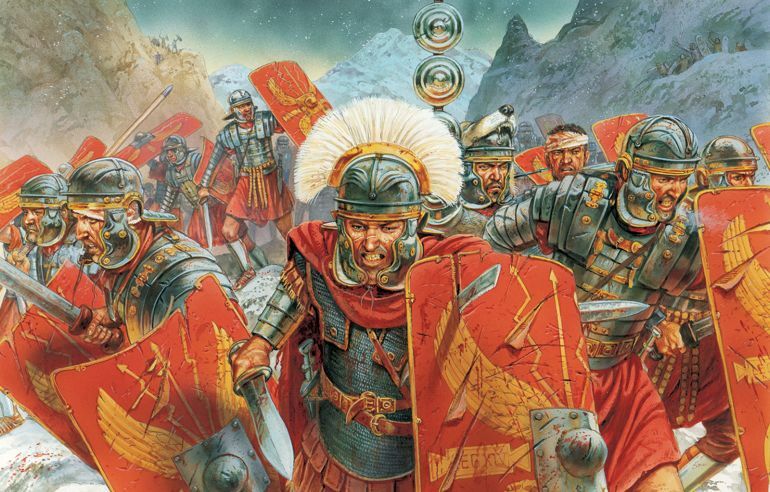 Also, on the other side of Europe, when Emperor Constantine XI fought his gallant last-stand at Constantinople, the commander of his army was an Italian and most of the troops defending the city (about 3/5) were “Latin” Christians and a majority of those were Italians. Another Italian military genius who commanded foreign troops was Raimondo, Count of Montecuccoli who came to great fame commanding forces of the Hapsburg Emperor. He was considered possibly the best soldier of the 17th Century, rivaled only by the great French commanders Turenne and Conde. His case is also extremely revealing when dealing with those who wish to denigrate Italian military achievements as I have come across such professed “experts” in military history who have not only never heard of Montecuccoli but have no idea who Turenne or Conde was either (something which should surely offend the proud partisans of the Kingdom of France). Another great imperial field marshal was Prince Eugene of Savoy, from the same branch of the venerable dynasty that ultimately became the Royal Family of Italy. His victories over the Turks and in the War of Spanish Succession earned him praise as the greatest soldier of his own time, rivaled only by his British ally the great Marlborough. (NB:Italians were quite warlike during much of this period. Italian soldiers, sailors and commanders were prominently involved in fighting for the cause of Catholicism in the 16th and 17th centuries, usually fighting in the armies of the Spanish and Austrian Habsburgs, along with the independent Italian states of the era. Italians were considered the second best troops in the Spanish war to subjugate the rebellious Netherlands after the Spaniards themselves (Spaniards and Italians were considered the backbone of the Spanish army in Flanders). Hanlon (who wrote the famous book "The Twilight of a Military Tradition: Italian Aristocrats and European Conflicts: 1560-1800") states that the Italians were considered brave soldiers, although not as resilient as the Spaniards. Italians were therefore considered choice soldiers for assaults, skirmishes and improvised encounters. Italians were considered excellent light horsemen for harassing, skirmishing and ambushing the enemy. Italians were at the time considered the best artillerymen and military engineers in Europe, with a distinct expertise at building military fortifications. In addition to the war in the Low Countries, Italians also served with distinction during the Thirty Years' War. For example, at the Battle of Nördlingen (1634) an army of Spanish and Italian troops decisively defeated a Swedish army.Italian soldiers also fought bravely in Hungary for the Austrian Habsburgs against the Turks during this period. In addition to fighting on land, Italians as sailors were also prominent in fighting both the Turks and their Barbary allies in the Mediterranean as well as against the Dutch and English in northern waters. Italians provided most of the sailors and about half of the soldiers in the Holy League armada at the famous Battle of Lepanto (1571): men and ships came from the maritime republics of Genoa and Venice, the Spanish crown lands in Italy, and smaller states such as Tuscany, Savoy, and even the Papal States. One of the many admirers of Prince Eugene was Napoleon Bonaparte who some have claimed to be as much an Italian military figure as a French one himself. He was born Napoleone Buonaparte and grew up speaking only the Corsican dialect of Italian before going to school on the continent and learning French. However, I would not try to antagonize the French by claiming one of their most celebrated military figures. It is enough though to see what credit he gave to the Italian fighting men of his day. Speaking of the contingent of the Kingdom of Italy that fought with his forces at the Battle of Borodino, Napoleon said, “The Italian army had displayed qualities which entitled it evermore to take rank amongst the bravest troops in Europe”. In southern Italy, the troops of the Neapolitan army did not enjoy the same reputation, to say the least of it. 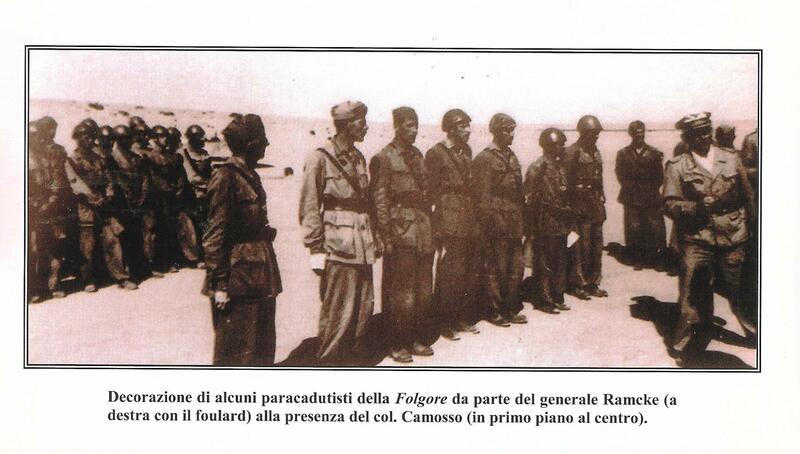 However, even there, it is worth pointing out that some performed very well under good leadership such as the counterrevolutionary ‘Army of the Holy Faith’ led by Fabrizio Cardinal Ruffo which liberated Naples, Rome and Florence. After the brief flirtation with the unification of northern Italy in the Napoleonic Wars, Italy was divided again and the next series of military conflicts involved the efforts to reunify Italy. This movement took on a life of its own and it soon became a race to see who would lead it to victory; the republican radicals of Giuseppe Mazzini or the constitutional monarchists loyal to the House of Savoy. As mentioned before, the House of Savoy itself produced a number of significant military leaders. Many, however, focus only on the defeats while ignoring the victories of the Piedmontese-Sardinian troops such as King Carlo Alberto at Goito or those led by General Giovanni Durando who successfully defended Vicenza and won high praise by the allies for his leadership of the Italian contingent in the Crimean War. Certainly, however, the most celebrated Italian military figure of the period was Giuseppe Garibaldi who, acknowledging numerous distasteful opinions of his, was unquestionably a gifted leader of men. He gained fame as a guerilla fighter in South America and in Italy, was offered a top command in the United States army by President Lincoln and who defeated the French in front of Rome. His most stunning success though was when he took a little more than a thousand ragged volunteers and defeated the greatly numerically superior forces of the Bourbon Two-Sicilies to conquer the whole of southern Italy to unite it with the north for the creation of the Kingdom of Italy. After the reunification of Italy under the House of Savoy the battle most seem to remember is the disastrous defeat at Adowa in the first war with Ethiopia. However, that ignores the numerous colonial victories before and after that battle. Many also ignore the war with Turkey in which Italy won control of Libya and became the first to use aircraft in combat. In World War I the courage and tenacity of the Italian army was remarked upon by many observers from the other Allied powers while also noting the outdated leadership coming from General Luigi Cadorna. Everyone remembers the disaster of Caporetto but ignore the larger picture. For one thing, the mountainous front across which Italy faced Austria-Hungary was recognized as the most difficult of the war. Even hardened German officers who had served on both the eastern and western fronts said that the Italian front was the worst of all. The Austrians also enjoyed all the benefits of the rugged terrain, dug in high on the mountains with the Italians forced to attack in the open, up hill under the most difficult circumstances. Still, while overly costly in lives lost, Italy was continuously gaining ground in the successive offensives along the Isonzo leading up to Caporetto. It should also be remembered that, for that defeat, the Germans had sent in massive support for the offensive, it should also be remembered that not all the Italian forces broke (the army of the Duke of Aosta held firm) and while many claim that only the arrival of French and British reinforcements saved the Italians from total annihilation, the truth is that they arrived after the crisis was over and the Austrian offensive had run out of steam. What is remarkable is how strongly Italy was able to bounce back after so stunning a loss. Under General Armando Diaz the Italians came roaring back, did very well in the air war and developed shock troop tactics that produced a new type of soldier that was famous far and wide for his reckless courage and no one could doubt the courage of the Arditi who charged enemy machine gun nests with a grenade in each hand and a dagger between their teeth. In the end, Italy won the battle of Vittorio Veneto that knocked Austria-Hungary completely out of the war. People also tend to overlook the numerous conflicts Italy was involved in between the world wars. 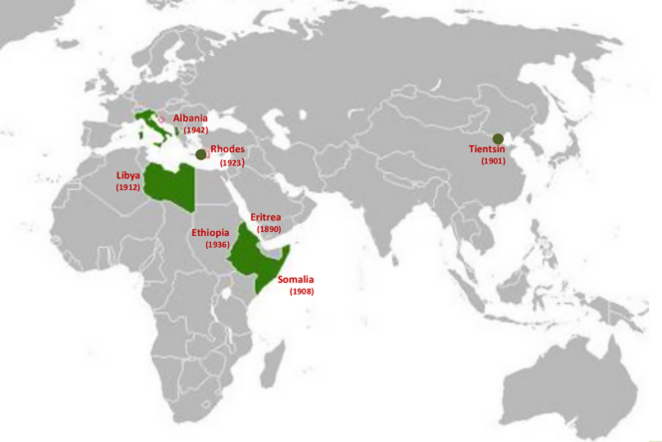 There was the pacification of Libya, the conquest of Ethiopia, the intervention in the Spanish Civil War and the occupation of Albania, all of which were Italian successes. Incredibly, some seem intent on trying to denigrate the Italians even when they are victorious. For example, some like to pretend that Libya was never totally pacified; not true. It was and, in fact, it had become such a model colony that when Air Marshal Italo Balbo died at the start of World War II, the Libyans seemed more distraught than the Italians. In the Spanish Civil War, one defeat early on is often used to tarnish the whole Italian intervention. This is stupid, it was one loss and the only one of its kind. The Italians made a very valuable contribution, particularly in the Santander offensive under General Ettore Bastico. The war in Ethiopia deserves some special mention because almost everyone has a totally incorrect view of the conflict. Too many accept the portrayal of it as a super-mechanized, modern Italian war machine simply massacring hordes of primitives armed with sticks and stones. This is simply a disgustingly incorrect view and an insult to the Ethiopian people as well as the Italians. The Ethiopians were not ignorant primitives. They had rifles, they had machine guns, they had artillery, European-trained military officers and European military advisors. They had an immense numerical advantage and the advantage of fighting a defensive war on their own ground. They were highly motivated and tenacious fighters who were very experienced at warfare. Experts at the time who were hostile to Italy predicted that it would take Italy at least two years to conquer Ethiopia and many even predicted that Italy would lose because the sanctions would cause the economy to collapse before that could happen. In the end, the Italians conquered Ethiopia in seven months and that was as much a logistical accomplishment as it was a tactical one. The war in Ethiopia was a hard fought victory, it was no cake walk. But, of course, most of this prejudiced view of Italian martial prowess is a result of World War II and that is no accident. It was an explicit tactic of Allied propaganda to denigrate the Italian war effort as a way to boost their own morale and to cause division between Germany and Italy, in other words, to make the Germans resentful by portraying the Italians as incompetent weaklings that had to be carried by Germany. Obviously, things did not go well for Italy but that was due mostly to being worn out by extensive pre-war operations and because of the lack of a proper upgrading of the armed forces. Contrary to what most think, Italian forces performed quite well under extremely difficult circumstances during the war and had a number of very competent commanders. In the early days of the war in Africa, the Italian forces came closer to victory than most realize. One major success that went a long way to allowing the Italians to make a major fight in north Africa was the long-range bombing missions launched by Lt. Colonel Ettore Muti on Palestine and Bahrain which did severe damage to British port facilities and oil refineries. This caused the British considerable logistical problems but also forced them to divert resources to defend the Middle East which were badly needed elsewhere. It also helped relieve the threat to the shipping lanes in the Mediterranean, allowing Italian forces to be moved to north Africa with very few losses. Starting from Italian bases in the Dodecanese Islands, making a wide circle around British bases in Cyprus, the Italian bombers hit British possessions in the Middle East and put the oil refineries in Haifa out of operation for at least a month. British aircraft operating out of Mt Carmel responded but were too late to intercept the Italian bombers as no one had been expecting an attack so far from what most considered the front lines. Much of the bad press Italy continues to receive usually boils down to the invasion of France, the first invasion of Egypt and the invasion of Greece. All of this has been grossly overblown. For France, the Italians were unprepared and did poorly in their first operation of the war. Rather like Britain, France, Russia and America all performed rather poorly right out of the gate as well. In Egypt, too much was being asked of a force that was woefully behind the times and in Greece, that was not the disaster everyone thinks. It did not go well certainly but things began to turn around before the Germans intervened so that it was a stalemate that existed on the Greek front, not a collapse. It would take too long to recount in detail all of the instances in which the stereotype is wrong but here is a brief rundown: The most successful non-German submarine commander of World War II was an Italian and the Italian submarine fleet sunk almost ¾ of a million tons of Allied shipping. Italian naval forces penetrated the British anchorage at Alexandria, Egypt and sank two battleships and a tanker and by the middle of 1942 the Royal Italian Navy totally dominated the central Mediterranean. In the Battle of Britain the outdated Italian aircraft actually gave as good as they got, later produced some planes superior to their Allied counterparts and Italian planes managed to sink 72 Allied warships and 196 freighters during the war. At Gazala in 1942 it was the Italian X Corps that saved the German 15th Brigade from total destruction and it was the Italian forces in Egypt that held off the British in Egypt while the Germans retreated after El Alamein (a battle the Italian commander predicted would end in disaster and for precisely the reasons for which it did) and in individual engagements Italian forces won stunning victories over the British and the Russians. Speaking of the Italian light infantry, Field Marshal Rommel said, “The German soldier astonished the world, but the Bersaglieri astonished the German soldier”. In terms of military commanders, Marshal Ettore Bastico proved his competence in Spain and gave good service in North Africa, being one of the few officers Rommel would at least listen to. Marshal Giovanni Messe (an ardent royalist) won victories on the Greek, Russian and African fronts and even Marshal Graziani, though ridiculed for his failed invasion of Egypt, knew it was a no-win situation and in any event that was the only defeat of his career. The Duke of Aosta won the respect of the British for his skillful and gallant defense of Italian East Africa, Major Adriano Visconti was one of a number of ace Italian fighter pilots in the war, shooting down 26 Allied aircraft and units such as the Folgore Division earned the respect of their enemies for their courage and tenacity on the battlefield. Obviously, there were plenty of losses as well, the overall war was a loss for Italy and a defeat is a defeat. However, the point is that every country has its successes and every country has its failures and it is simply ignorant to slander an entire people the way the Italians have been. What started out as simple wartime propaganda has been repeated so endlessly and exaggerated out of all proportion that it is truly ridiculous. The vast majority of the sweeping generalizations that too many people make are simply untrue. The Italians have an illustrious military history with many great victories and many brilliant military leaders to be justly proud of. I also wish more people would keep in mind that denigrating someone, even an enemy, is often just as insulting to the other side. Where is the honor in defeating a totally hapless enemy? More simply though, I wish more people would simply pause before belittling anyone who put on a uniform and went into actual combat, something most people have not done. It is a pet peeve of mine to see the brave military forces of the past denigrated by smug people who usually don’t have the first clue as to what they are talking about and the two that seem to be put down the most, and thus infuriate me the most often, are those of Austria-Hungary (Austrians and Slavs) and the United Kingdom (two empires gone to the wind, even partially because of the Italian military). It really needs to stop and people should have more decency. Just as in art, music, exploration and so many other areas, when it comes to warfare the Italians have much to be proud of.